Since its release in 1999, the original Homeworld has developed a loyal following and has established itself, along with its 2003 sequel Homeworld 2, as a refined and sublime strategy game, a classic entry in the genre. When Gearbox acquired the rights to the franchise in 2013 there was some dubiousness as to the worthiness of the new custodians of the much-beloved IP. Meanwhile, independently of Gearbox, developers of the original Homeworld were working on a game inspired by their former creation though obviously not legally connected to it as they no longer owned the rights to the name. After some development, Gearbox agreed to allow that other company, Blackbird Interactive, to use the Homeworld IP. 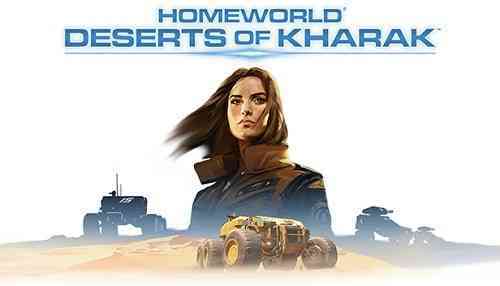 So the game once called Hardware: Shipbreakers was renamed Homeworld: Shipbreakers and now arrives newly rebranded as Homeworld: Deserts of Kharak. In the original Homeworld the titular planet is under siege and must be abandoned. The method of the survivor’s exodus is a newly-designed faster than light starship powered by an ancient device that was uncovered in the barren deserts of the homeworld, the planet Kharak. This new game, a prequel, takes place entirely on Kharak and tells the story of the recovery of that device. Deserts of Kharak is a departure from classic Homeworld gameplay in at least one critical dimension: the z-axis. Homeworld and Homeworld 2 were known, indeed were considered varyingly revolutionary, for their portrayal of completely three-dimensional space combat. Space games often depict the galaxy as a flat tabletop but Homeworld and its sequel allowed ships to move in any direction, and often employed that tactical element to design complex missions and objectives. The interface was at times difficult to use, since of course the computer screen you’re using to play the game is itself only two-dimensional. But once you got the hang of it the possibilities for advanced tactical maneuvers were there. Since it takes place on the surface of a planet, Deserts of Kharak ostensibly loses some of the luster of its predecessors. It’s “just” another two-dimensional RTS. And yet, Kharak is clearly a descendent of Homeworld. The unit design, sound, and feel are all there, and perhaps more importantly so is the interface. 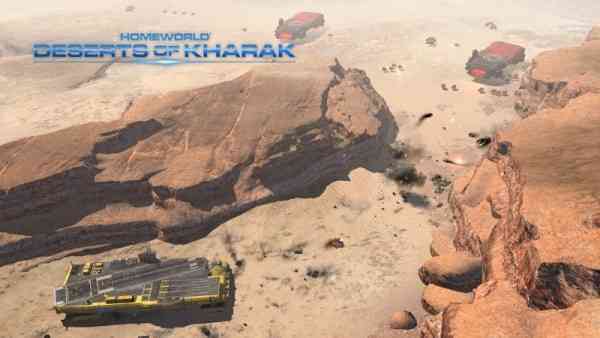 The same tactical birds-eye-view command interface from Homeworld and Homeworld 2 is present here, and it allows combat in the deserts of Kharak to take on an almost space-like quality. The contours of the sand create high- and low-ground which provide tactical advantages, and your units can be positioned accordingly. The “mothership,” a sort of aircraft carrier on wheels, builds units and researches upgrades, and can launch fighter aircraft to strike enemy emplacements. In some ways, removing the freedom of fully three-dimensional movement creates more tactical opportunities: forcing constraints on your units forces you to be more creative, and allows you to take advantage of the terrain. Despite losing perhaps the defining feature of the franchise, Deserts of Kharak is a worthy successor to Homeworld and Homeworld 2, and is firmly cemented in their lineage. The story follows Rachel S’jet, a scientist driven to find the mysterious “Jaraci Object” buried beneath the sands of Kharak. She believes that this anomalous object will save her people from the increasingly volatile climate of the planet, and from their wars with each other. She leads an expedition across the desert, into enemy territory, to recover it. The campaign centers around the recovery of various artifacts and resources from wrecked starships scattered throughout the desert. 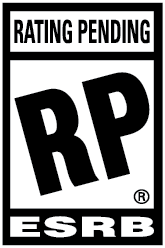 (Several of the multiplayer modes create a similar fight over resources.) Accomplishing this task can be quite tricky depending on the enemy forces in the area. Salvaging requires the use of small, relatively defenseless crafts, which must be escorted in some fashion or another. You can place vehicles with long-range railguns in key positions, or follow along with faster-moving light combat units. The carrier can also launch airstrikes to defend static resource holdings. Of course, each of these tactics can be countered by the enemy in various ways, and the whole encounter can quickly become chaos. The story is reminiscent of the original Homeworld games. Against impossible odds, a small band of survivors attempts to reach a mysterious and almost mythical goal. In this case, similarity is a good thing, and the feel of the game along with its tactics, design, and depth all rival the games from which it descends. 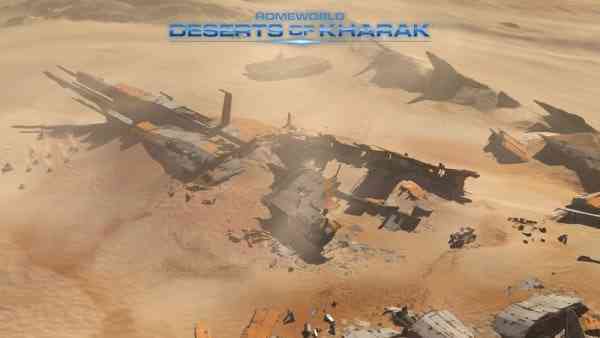 Deserts of Kharak is a triumphant return to Homeworld, just minus the space part.